Ms. Lawrence’s kindergarten students enjoyed celebrating Johnny Appleseed’s birthday with a tasting party of foods made from apples. Students sampled apple pie, applesauce, apple bread, apple straws, and apple juice. Earlier in the week, the students tasted and compared red, green, and yellow apples using adjectives to describe each kind of apple. Everyone voted on their favorite apple and created a graph to record the data. Green apples were the overall favorite! The class had lots of fun learning about apples and Johnny Appleseed while being introduced to numerous math and reading skills. 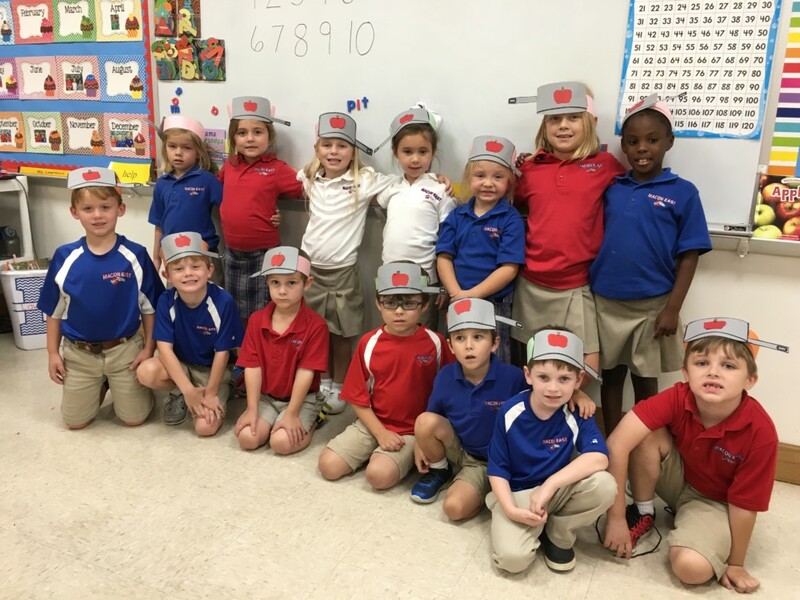 Macon East’s kindergarten classes always love celebrating Johnny Appleseed, and Ms. Lawrence sure knows how to make learning fun.